Dear Prosecutor, Public Defender, Ambassador and Jury Members of the International Buddhist Ethics Committee (IBEC) and Buddhist Tribunal on Human Rights (BTHR), regarding the case 19-2016 "Ronald Lloyd Spencer & "The Church of Shambhala Vajradhara Maitreya Sangha"" through this, on November 4, 2016, it is evidenced that the case of the Ethics Committee regarding the violation of Buddhist Spirituality by the accused is concluded after voting of 9 Jury members, all of them issuing the verdict of "Responsible" for the crimes of SPIRITUAL FRAUD AND FALSE BUDDHISM. The actions and teachings of the accused ones, "Ronald Lloyd Spencer & "The Church of Shambhala Vajradhara Maitreya Sangha"", do not constitute any kind of Spirituality, using the disguise of Buddhism to perpetrate massive scams to ignorant individuals. This scam or robbery is based on the radical lie, which would be the alleged spiritual legitimacy of the accused, so this criminal framework constitutes an intrinsic violation of the Buddhist ethical precepts and also of the essential guidelines of Spirituality. In addition, this spiritual fraud is an attack on the cultural sovereignty of Buddhist Peoples and Spiritual Communities, which have the right to denounce and prosecute those who illegally usurp the cultural heritage transmitted by Siddharta Gautama. The accused ones could have taught some Buddhist knowledge and practices if they really had a minimum of good will, but the total absence of Buddhist Spirituality in their lives demonstrates that they are a fraud and a scam. Just as the case 17-2016 of Ricardo Javier Ocampo, Mr. Ronald Lloyd Spencer is really a scammer who disguises himself as spiritual master to commit crimes with impunity, hiding behind the prestige emanating from everything that surrounds Buddhism. When examining the teachings of the accused, many of them linked mainly with geomancy and esoteric rituals, it is evident the fraudulent condition thereof, profiting monetarily with the ingenuity of his followers. Although some people might argue that Mr. Spencer suffers from psychosis and that this could be the cause of its Spiritual Fraud and False Buddhism, the fact of economic profit is what proves that the defendant is a perverse subject, demonstrating once again the darker nature of evil, that is to say, evil disguised as goodness. Therefore, the SPIRITUAL FRAUD AND FALSE BUDDHISM that the accused ones carried out is not only an attack on Buddhist Spirituality but also constitutes a massive scam to their own ingenuous disciples, who trusted in the alleged spiritual truthfulness of Mr. Spencer due to he himself claimed to possess divine powers, which is one of the most serious violations against Buddhist Law. Obviously, there is certain Responsibility on the part of Mr. Spencer's disciples, who are called The Church of Shambhala Vajradhara Maitreya Sangha, given that every Buddhist Community (sangha) should never worship their spiritual leader or master. Indeed, it may be well established the ethical rule that every time a spiritual master claims to possess paranormal powers one is faced with a case of SPIRITUAL FRAUD AND FALSE BUDDHISM. What is truly miraculous or divine on the part of an Awakened One (Buddha) comes from his or her level of compassionate wisdom (karuna-prajna), that is to say, it lies in the ability to help others to achieve inner and outer Liberation by means of contemplation (zen) and ethics (sila). Thus, when these spiritual features are absent in a Buddhist master then one is in the presence of a fraud and a scam that is completely threatening the purity of Buddhism in its mission to save the world. The abominable deception of those who disguise themselves as spiritual masters in order to take advantage of ingenuous and ignorant persons should not be taken lightly, especially in the context of a contemporary civilization that is obsessed with what is superficial and illusory, where it seems that everything that is insignificant and banal is the only news. Those who deceive and financially profit with Spirituality, not transmitting teachings but transmitting greed and lies, must be prosecuted by the International Buddhist Ethics Committee, whose Purpose (Dharma) in life is to show that the Awakening, the Truth and the Spiritual Righteousness are not what these phony and criminal individuals transmit. Therefore, it is recommended to provide spiritual teaching free of any charge to anyone who has been deceived by the accused, as long as they show openness and humility. Following in the Way of Master Siddhartha Gautama, who always fought against the evil of deceit with the Good of Truth, it is established that the accused Ronald Lloyd Spencer & "The Church of Shambhala Vajradhara Maitreya Sangha" have breached Spirituality and Buddhist Ethics, so it has been ruled their "Responsibility" on charges of SPIRITUAL FRAUD AND FALSE BUDDHISM. 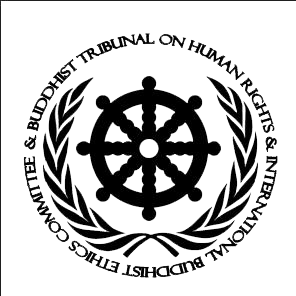 Ultimately, the International Buddhist Ethics Committee has the duty to protect and defend the Spiritual Purpose (Dharma), establishing the present ethical and juridical Judgment as a teaching for the accused, for his victims and for the whole humanity.